Microsoft Excel Expert Level will help the participants become familiar with the advanced features of Microsoft Excel. This Microsoft Excel course focuses on the Excel features for data analysis such as sorting, filtering, advanced filtering, pivot tables, consolidation and subtotals as well as formulae and nested functions in order to create “smart” spreadsheets. It also presents features such as data validation in order to minimize data entry errors . The course also introduces various financial analysis tools such as goal seek, scenario manager and data tables. Finally the course presents ways to protect the spreadsheets and formulae and to create templates. Participants may come from various departments and are dealing or wish to create complex spreadsheets. Participants who seek for ways to utilize all the excel features in order to create “smart sheets” or analyze data will find this course very useful. 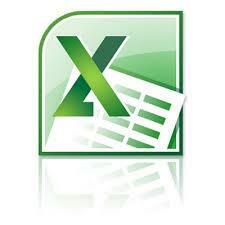 Microsoft Excel Expert Level will help the participants become familiar with the advanced features of Microsoft Excel. The course focuses on the Excel features for data analysis such as sorting, filtering, advanced filtering, pivot tables, consolidation and subtotals as well as formulae and nested functions in order to create “smart” spreadsheets. It also presents features such as data validation in order to minimize data entry errors . The course also introduces various financial analysis tools such as goal seek, scenario manager and data tables. Finally the course presents ways to protect the spreadsheets and formulae and to create templates. Basic knowledge of Microsoft Excel. Additionally participants should have basic knowledge on the creation of formulae and functions. The course is 100% practical. The topics are delivered with short presentations by the instructor followed by a step-by-step demonstration by the instructor and repetition by the students, examples and discussions on how a feature may be used with real life examples and practice through written exercises. Each student has a step by step book.